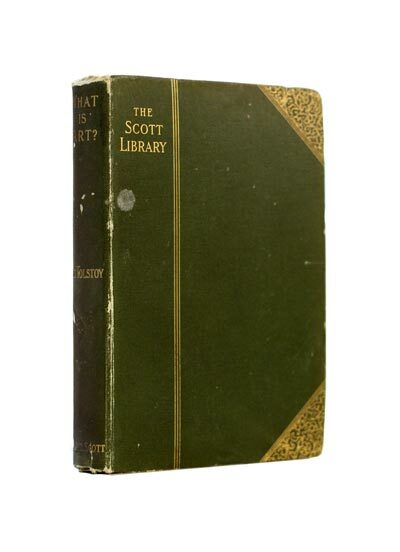 Publisher: Walter Scott Co, exact date unkown. Most likely between 1900 to 1910. 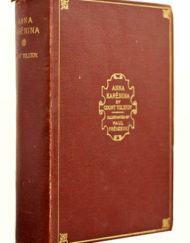 Very early edition. 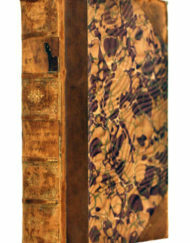 Condition: Hardcover, cloth, in good condition overall, small tear to front flyleaf, but otherwise good. What is Art? (Russian: Что такое искусство?) 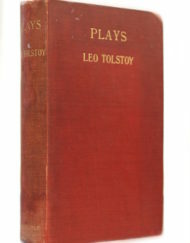 is a book by Leo Tolstoy. 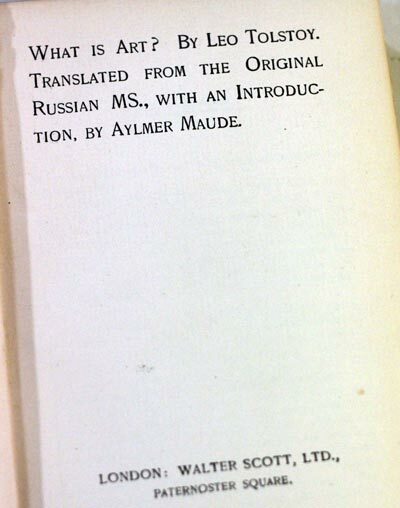 It was completed in Russian in 1897 but first published in English due to difficulties with the Russian censors. 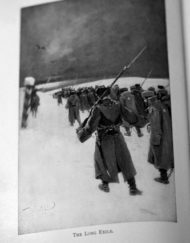 Tolstoy cites the time, effort, public funds, and public respect spent on art and artists as well as the imprecision of general opinions on art as reason for writing the book. In his words, “it is difficult to say what is meant by art, and especially what is good, useful art, art for the sake of which we might condone such sacrifices as are being offered at its shrine”. 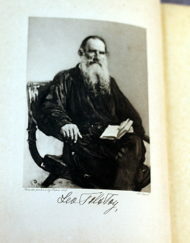 Throughout the book Tolstoy demonstrates an “unremitting moralism”, evaluating artworks in light of his radical Christian ethics, and displaying a willingness to dismiss accepted masters, including Wagner, Shakespeare, and Dante, as well as the bulk of his own writings. 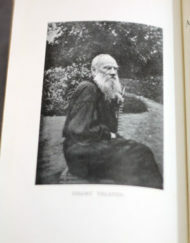 Having rejected the use of beauty in definitions of art (see aesthetic theory), Tolstoy conceptualises art as anything that communicates emotion: “Art begins when a man, with the purpose of communicating to other people a feeling he once experienced, calls it up again within himself and expresses it by certain external signs”. This view of art is inclusive: “jokes”, “home decoration”, and “church services” may all be considered art as long as they convey feeling. It is also amoral: “[f]eelings … very bad and very good, if only they infect the reader … constitute the subject of art”. Tolstoy also notes that the “sincerity” of the artist—that is, the extent to which the artist “experiences the feeling he conveys”—influences the infection.